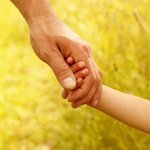 How to improve concentration in kids? These are the commonly searched keywords by the parents who want to improve their child’s focus. Inability to concentrate and lack of focus among kids are common are the most common problems. Concentration is like a muscle which requires regular workout to strengthen. Some children are born stronger while some kids lack but that doesn’t mean they are weak. With practice and implementing the correct improvement strategies, your child can learn to increase his concentration easily. Concentration is mindfulness; it is a concept which has been gaining a lot of limelight. Concentration is basically an ability to pay attention to one particular thing for a moment. Improving concentration is associated with other several health benefits like increased happiness, improved academic performance, and low stress. Perhaps this is the primary reason to top the list. Your kid needs 8-10 hours of sleep every day. If they have a habit of sleeping late, it is high time that you change their routine and set sleep timetable at least during the weekdays. This is another significant factor due to which your child is not being able to concentrate properly. Dietary food items which are high in sugar, carbohydrates, and fats can hamper your child’s focus. Occasionally it is fine but ensure that your child eats more of protein-rich food which comprises of whole grains. Avoid high sugar items, sodas, junk food and energy drinks especially at nights. It’s a general tendency for your kid to refrain him from the chores that are tough. A chore that you have assigned might be difficult for his age hence, do not burden them with a lot of work which is tough to understand for their age and do. This further can go on to affect his studies, hobbies, as well as the usual routine of his. 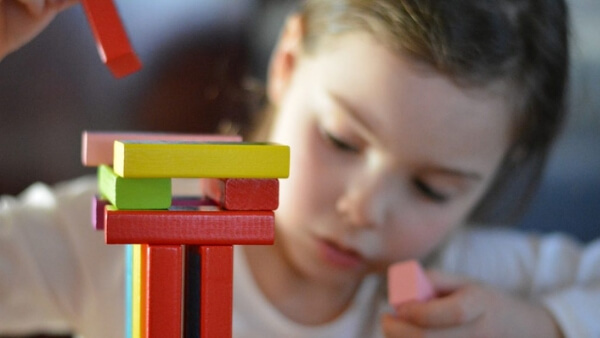 Fights and arguments between the parents, and lack of proper attention results in the stress which is another primary reason for your kid’s lack of concentration. 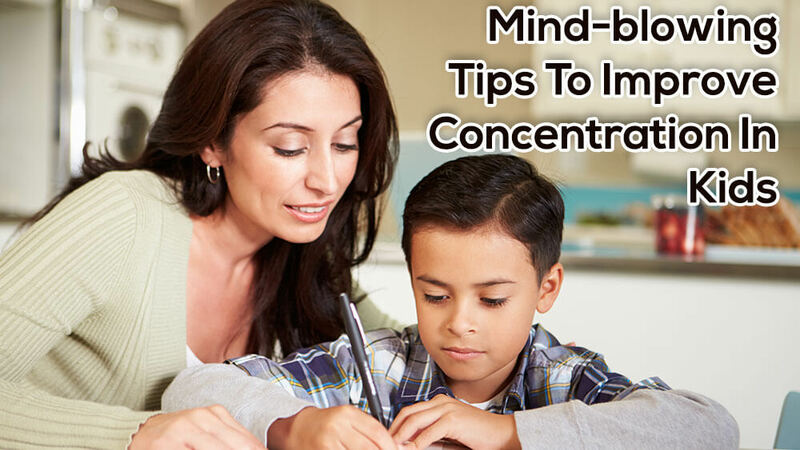 Kids can perform better when they are able to concentrate. Hence, providing a distracting free environment is important. Have a well-organized learning environment especially the study table where everything is neat and pleasant. For e.g., if your child studies on the study table ensure that the table is clutter free this will teach your kid to organize starting with the small chores. Eating healthy food has a direct connection with the concentration. In fact, there are specific greens and whole grains if consumed daily can increase the concentration in your kid. A recent study conveyed that eating green food will inject lots of antioxidants which in turn boost the brain power of your child. It is important to have a routine at least during weekdays. For e.g. if your kid is coming at 3.30 pm from school and has a snack at 4 pm, take him to play outside for at least 1 to 1.5 hours daily. After he gets back home in the evening let him have his dinner and sit for studies. This way he will have his playing time, meals and studying time in order and will complete it without feeling tired. Reading the entire chapters in one go is tough for a kid. Breaking it into paragraphs makes sense so that your kid has a sense of achievement for finishing the homework on time and is motivated. The same theory applies to household chores when you assign them to your kids. It is practically impossible for them to clean their room in a day. Why not tell them to do one cleaning at a time for e.g. start with the bottom drawers of the cupboard and then eventually going further. 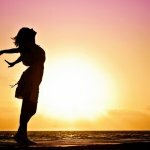 It is believed that when your brain receives an adequate amount of oxygen it functions at its optimum level. Teach your child some breathing exercises which are very basic and are completely safe to perform on a regular basis. Even playing instruments can help and encourage breathing. This generation of kids is growing up with smartphones, tablets and other internet-enabled devices. Sitting in front of television most of the time can have an adverse effect on the brain’s child. Ensure that he spends minimum time in front of screens and devote time in other productive work. Breaking the bigger tasks into small ones make sense as it is overwhelming for your child to complete the bigger chores single-handedly. Your child shouldn’t feel burdened when they are doing the tasks for e.g. when they are reading a chapter, and look lost have them read it in breaks or paras which makes it easy for them to grasp the topic and feels less stressed. Set minimalistic goals for completing the task for e.g. like giving another 10 or 20 minutes etc. This will help your kid to focus better on doing their chores and completing it within the time limit. However, parents should be careful when setting the limits as this could develop anxiety and may disturb the focus. Set goals with an adequate time limit so that your child doesn’t feel pressurized. 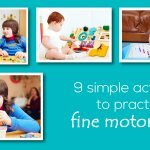 • Sequencing activities are known for helping the focus levels in your kid. Teachers and parents can provide worksheets or materials such as story sequencing or pattern sequencing which helps in enhancing their memory. • Memory games are one of the most popular concentration activities for kids. 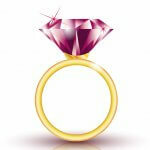 You can choose from the wide range of variety like 3D shapes picture cards etc. which works great on your kid’s memory. • Cooking activities is another fun activity that can help your child boost memory power. If appropriate for your kid, consider involving him/her with you during your cooking time. It could be simple mixing ingredients, or stirring it or decorating the cake/cookies etc. 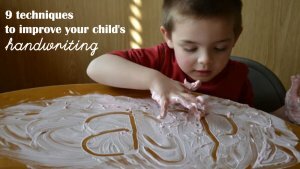 • Making to-do-list activity can help your kids learn about how to be organized and getting things done on time. It is a great brain teaser that makes an interesting game, especially to improve attention span. There’s a wide range of variety when it comes to choosing puzzles games. Some of the favorite ones are logo puzzle, animal puzzle, word puzzle, connecting the shapes/pattern etc. Tongue twisters are great fun activity games that your child will love. It not only works on improving the concentration but it improves the vocabulary pronunciation. The game is believed to be enhancing the numerical abilities along with improving concentration in kids. The game is as simple to play, where one of the members will deliberately miss the number in the sequence and your kid has to catch that goof up and spell out the missing number. Kids are competitive by nature and love to win. The beat the clock game increases their concentration. It doesn’t have to be a specific game but you can have it implemented in day to day activity using the stopwatch. Joining the dots is an interesting game which requires a good amount of focus. Let your child use his imagination to join the dots and that is how he figures out the picture when he is done with the game. The game involves your routine chores to make it interesting. For e.g. when you are making a sandwich at home, show the pattern to your child of spreading the butter on the bread, then putting a cucumber, then tomatoes, cheese slice, and lettuce and finishing it with another slice of the bread. It’s a formation of a pattern hence requires careful watching of what comes next which enhances the memory power.